Sam Carletta is from Rochester, NY and is currently pursuing an Economics major and Environmental Science minor from Hamilton College. He is interested in studying agriculture as a vehicle for sustainable development and growth in third world countries. He enjoys playing ultimate frisbee, as well as the guitar. This year, he has lived in New York City and in Tanzania, and is excited to spend his summer in Poughkeepsie! German Gutierrez was born in Veracruz Mexico, but was raised in Fairfax County, Virginia. He is the third of five sons, and has no sisters. Whenever he has free time he likes to bury his nose in a corny science fiction paperback. He found himself in the Hudson Valley after he followed his older brother here looking for a fresh start and opportunities to learn about agriculture. He is deeply interested in food justice and that is how he came to volunteer with Poughkeepsie Farm Project. He is also fascinated by the current trend in urban farming, which he believes has great potential to revitalize not only our diets but our cities as well, and to provide communities access to fresh farm produce. Sophie Kosmacher is a rising senior and philosophy major at Vassar College. She's diving into gardening full time for the first time this summer since beginning in the Meditation Garden during the spring semester (come volunteer with us on Wednesdays from 4-6!) She looks forward to building fellowship with the community gardeners and among the gardeners, the Farm Project, and the Poughkeepsie community this summer. In her free time, Sophie enjoys running, hiking, dancing, reading, and cooking (especially eggplants and sweet potatoes!) and exploring local restaurants and coffee shops. She hopes to see you in the garden soon! Margaret Patkus is a Poughkeepsie native who graduated from Spackenkill High School last year. She just completed her first year at St. Olaf College in Northfield, Minnesota, where she plans to pursue a major in Environmental Studies and a minor in Race and Ethnic Studies. She plays the viola, and is passionate about being active (Pilates and hiking are favorites) and preparing beautiful, local eats! She is excited to be a part of this community and to work on improving community food and environmental justice. Rachel Pittelman is about to graduate from The Culinary Institute of America with her Bachelor’s Degree in Applied Food Studies. She is an Education Intern at Poughkeepsie Farm Project. For many years she has been bothered by the unhealthy diets of many American children. She hopes to connect her passions for cooking and nutrition with an understanding of how food waste is managed to create a career path of her own. Samuel Schwartz is a senior at SUNY New Paltz studying philosophy, linguistics, and interpersonal/ intercultural communication. 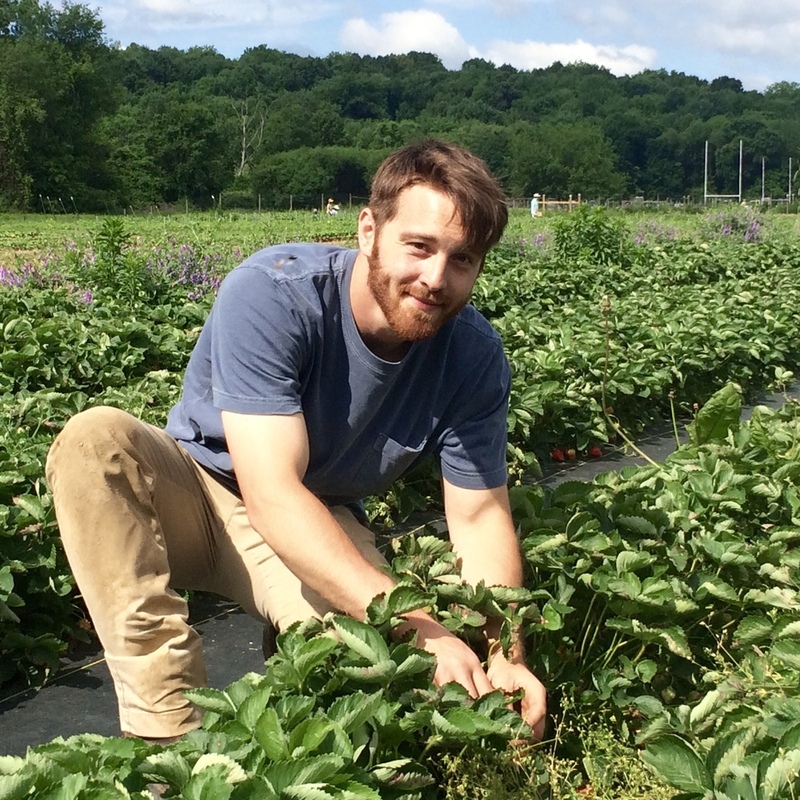 His choice to pursue an internship with Poughkeepsie Farm Project was motivated by his philosophical interest in ethical engagement between individuals, communities, and the environment. He believes that communication within and between local subcultures centered on agriculture can unify diverse populations and the natural world. Anthony Walker is a rising senior at Vassar College from Madison, Wisconsin. Previously he has worked at a small vegetable farm, worked at a summer camp, and taught kids swim lessons at his local pool. If he’s not at the farm, he’s probably in the pool because he is on Vassar College's swim team. 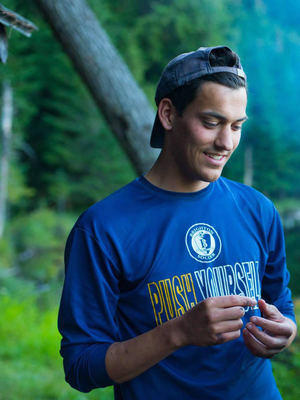 He is a Geography major interested in grassroots community movements and sustainable development. He loves to grow and pick fresh fruits and vegetables and he is so excited to be working with all the cool people at the Poughkeepsie Farm Project. Older PostNow you can sign up for a fruit share!